Anthony Martial’s time at Old Trafford has almost always been one that is far from certain. Owing to several factors, the Frenchman has time and again been sidelined, and despite his hefty price tag and sharp performances, is yet to carve a constant run of games. This seems to have come to a head in recent weeks, particularly after the purchase of Alexis Sanchez, which has led to the 22-year-old getting relegated to the right attacking flank. Not only is the right wing his least preferred position, but it is also one that is heavily contended for, with the likes of Juan Mata, Jesse Lingard, and Marcus Rashford all worthwhile options. As of such, interest from top clubs for his signature will come as no surprise, which is why United have decided to do something about it. As per The Times and ESPN, the Red Devils will seek to prepare a new contract for Martial in view of offers elsewhere. With his current deal set to expire in 2019, the chance to procure him early is one that several clubs will be eager to take. Prominent among these names is that of Juventus, while United’s English rivals Arsenal are also a side believed to be interested in making the signing. 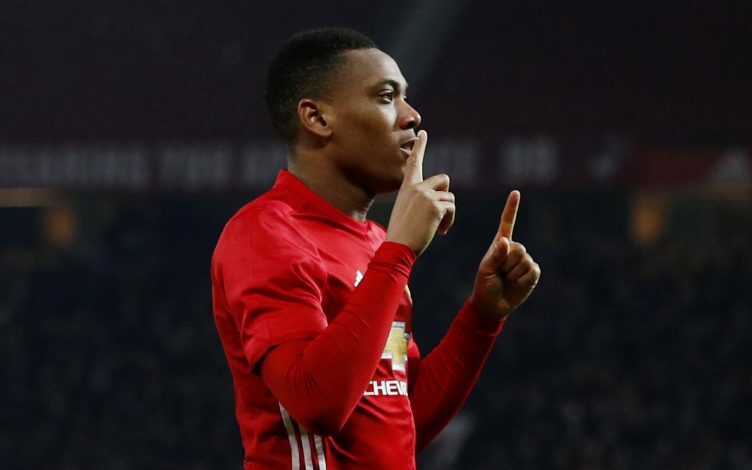 The source added that that the Old Trafford outfit is helming fresh contract talks with the player’s representatives, and that the overall intent is that Martial must remain a United player for the long term. With some of the scintillating performances he has shown over his tenure at the Theatre of Dreams, this interest comes as no surprise. At the same time, the other offers will also be hard for the starlet to refuse, particularly if his present selection headache persists. In view of this, anything is possible in the months to come.